James Watts as Director, the Office of Black Catholic Ministry offers opportunities for the community to take part in their Faith. holy family cristo rey high school worked with campus minister to evangelize the students, most being non-catholic. camp Joseph an outdoor christian ministry focused on developing young men of honor and on facilitating growth in a relationship with jesus christ. DIOCESAN youth action committee on racial relations multicultural teen group that works to create harmony and respect among all people. Rev. Dr. Martin Luther King Jr. Diocesan Prayer Breakfast Sponsored prayer breakfast to promote diversity within the diocese. Black Catholic Consortium Meeting Monthly meeting held to discuss the concerns of the African American community. Mudelein Seminary mission visit Coordinated a missionary diocesan visit of 10 seminarians and 2 faculty Members to our African American Parishes. 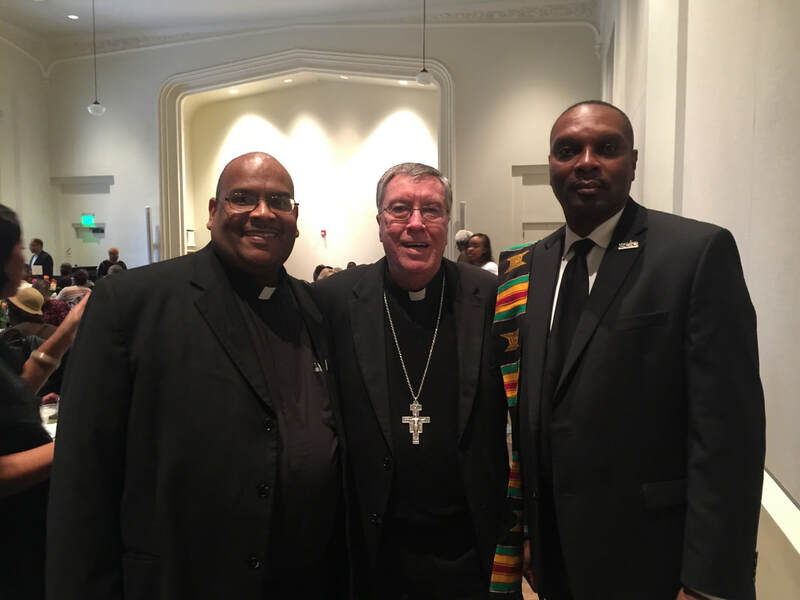 National Association of Black Catholic Administrators A forum for African American Catholic Administers to effectively address the needs, issues, and concerns. Blue Mass Mass held on the Feast Day of Saint Michael the Archangel honoring all law enforcement personnel. Interfaith Partnership Outreach Program (IPOP) Initiative between Lawson State Community College and the Faith community designed to provide access and opportunity for students to pursue higher education. Served on the planning committee that is a joint conference between the FBI and the Civil Rights Institute that address topic concerning race, law, and justice. © 2014-2018 All rights reserved worldwide. Website by Diocese of Birmingham in Alabama.